Bolivia Trip Winds Down While the Elbrus Trip Peaks! 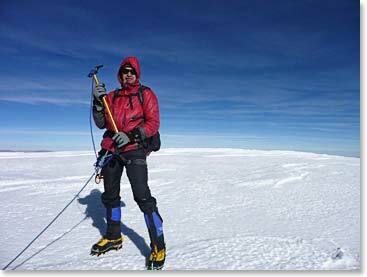 We’ve now returned home from this year’s Sajama climb in Bolivia. As always, it was a fantastic experience with a fun and driven group of climbers. 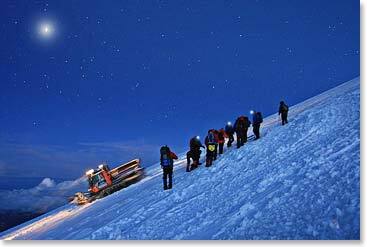 Now our Russian team is poised to challenge the summit of Elbrus. Good luck to Bill, Tom, Linda, Paule, and Mo as they brave the cold and ice on their way to the top of Europe’s highest peak, Mount Elbrus at 18,586ft/5,665m. Follow the climb through our dispatches from the mountain.